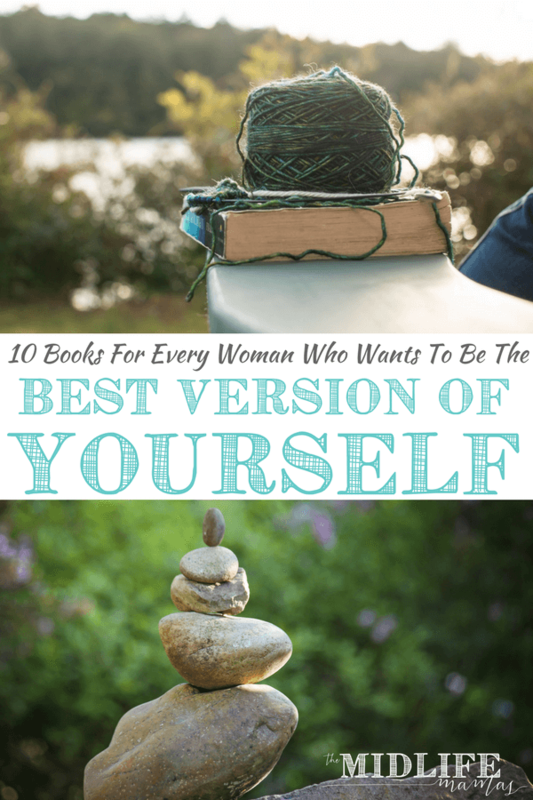 As I read one very special book on this list, I knew that with each of the loving and powerful words my life was changing one second at a time. Each loving word, helped me move closer to the very best version of myself. And then I realized that I have read a handful of books that contain volumes of words of encouragement for women of every age, but these words are particularly inspirational for me in this season of life. And so I wanted to share these words of encouragement for women everywhere with you. 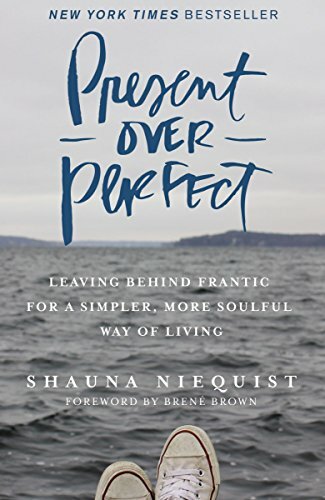 Shauna Niequist is a wife, mother, daughter, sister, friend, neighbor, writer who has learned a way to live, marked by grace, love, rest, and play. And it’s changing everything for her. And she’s sharing it with us all. I love Present Over Perfect because it is a beautifully written hand reaching out for you to hold on to as you take a journey to discover who you really, authentically are. Present Over Perfect is a guide to hearing the tiny voice inside you that has always been there, but has been told that she must prove her worth, or that she must work harder, achieve more, do better to be valuable. The Mona Lisa Strategem is inspired by the female beauty, mystery, and immortality of its namesake. Around the time a woman reaches 45, there is one enemy with the power to threaten her confidence, steal her beauty, make her feel invisible, and turn even the pleasures of life against her. That enemy is Time. Most women feel that an essential part of them dies when their youth is gone, yet the reality is women can grow more beautiful, experience new pleasures, and accomplish their best work later in life. 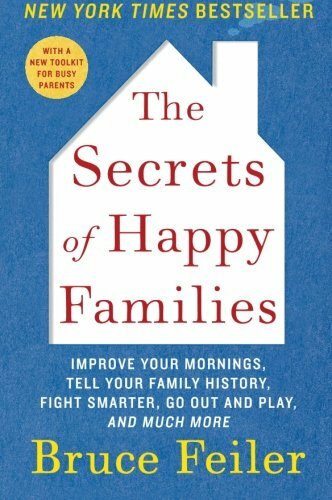 Harriet Rubin reveals a powerful stratagem for finding happiness and fulfillment in midlife and beyond. 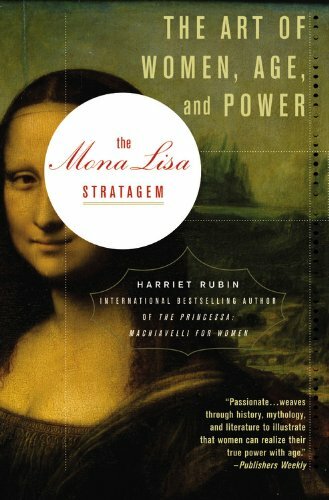 Interweaving stories of iconic women throughout history, Rubin’s The Mona Lisa Strategem codifies ten tactics- my favorite is how to express your talents that have been ripening for decades. I enjoyed The Secrets of Happy Families so much, that this isn’t the first time I’ve written about its brilliance. New York Times bestselling author Bruce Feiler has drawn up a blueprint for modern families — a new approach to family dynamics, inspired by cutting-edge techniques gathered from experts in the disciplines of science, business, sports, and the military. Guys – he got stuff from the Green Berets! My father is a professor, and I wonder if he were asked to give The Last Lecture what he would speak about. Professors are asked to consider their demise and to ruminate on what matters most to them. And while they speak, audiences can’t help but mull the same question: What wisdom would we impart to the world if we knew it was our last chance? If we had to vanish tomorrow, what would we want as our legacy? 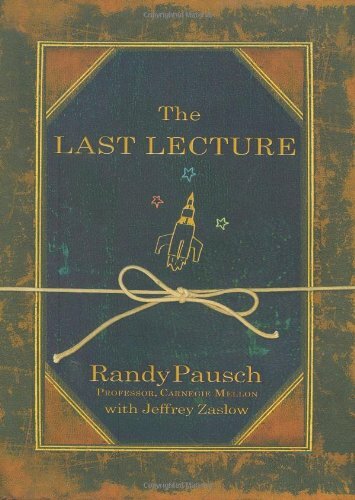 The most poignant part of Rand Pausch’s The Last Lecture is that he didn’t have to imagine it as his last. He had recently been diagnosed with terminal cancer. But the lecture he gave–“Really Achieving Your Childhood Dreams”–wasn’t about dying. It was about the importance of overcoming obstacles, of enabling the dreams of others, of seizing every moment (because “time is all you have…and you may find one day that you have less than you think”). Although he was facing death, his lecture was about living. It is an amazing reminder for us all – especially those of us over 40 – to reconstruct and reach for our childhood dreams. 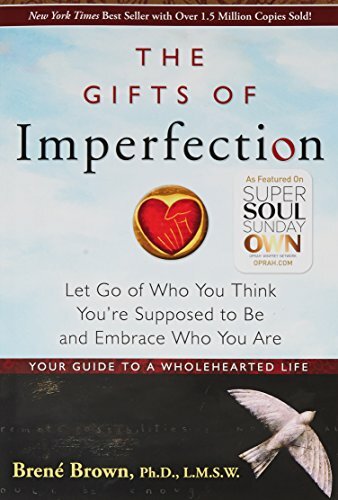 In The Gifts of Imperfection, Brene Brown, PhD, a leading expert on shame, authenticity and belonging, shares what she’s learned about the power of Wholehearted Living–a way of engaging with the world secure in the knowledge that we are worthy JUST because we exist! Each day we face a barrage of images and messages from society and the media telling us who, what, and how we should be. We are led to believe that if we could only look perfect and lead perfect lives, we’d no longer feel inadequate. So most of us perform, please, and perfect, all the while thinking, What if I can’t keep all of these balls in the air? Why isn’t everyone else working harder and living up to my expectations? What will people think if I fail or give up? When can I stop proving myself? In her ten guideposts, Brown engages our minds, hearts, and spirits as she explores how we can cultivate the courage, compassion, and connection to wake up in the morning and think, No matter what gets done and how much is left undone, I am enough, and to go to bed at night thinking, Yes, I am sometimes afraid, but I am also brave. And, yes, I am imperfect and vulnerable, but that doesn’t change the truth that I am worthy of love and belonging. I am a huge fan of Elizabeth Gilbert. 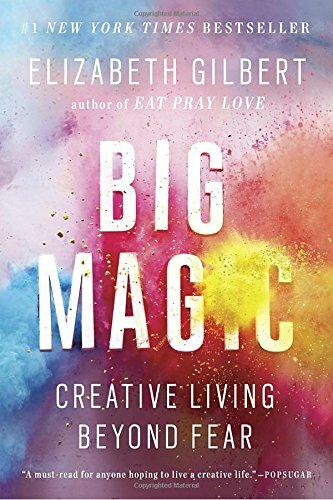 Hearing her Ted Talk was what motivated me to begin reading Big Magic. Here, she is sharing her wisdom and unique perspective about creativity. With profound empathy and radiant generosity, she offers potent insights into the mysterious nature of inspiration. She asks us to embrace our curiosity and let go of needless suffering. She shows us how to tackle what we most love, and how to face down what we most fear. She discusses the attitudes, approaches, and habits we need in order to live our most creative lives. Balancing between soulful spirituality and cheerful pragmatism, Gilbert encourages us to uncover the “strange jewels” that are hidden within each of us. It doesn’t matter whether we are looking to write a book, make art, find new ways to address challenges in our work, embark on a dream long deferred, or simply infuse our everyday lives with more mindfulness and passion, Big Magic cracks open a world of wonder and joy. 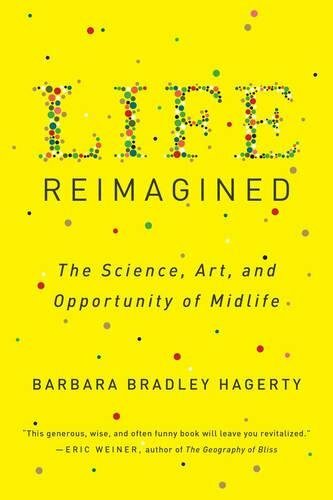 There’s no such thing as an inevitable midlife crisis, according to Barbara Bradley Hagerty in Life Reimagined. It’s a myth, an illusion. New scientific research explodes the fable that midlife is a time when things start to go downhill for everybody. In fact, midlife can be a great new adventure, when you can embrace fresh possibilities, purposes, and pleasures. Midlife is about renewal: It’s the time to renegotiate your purpose, refocus your relationships, and transform the way you think about the world and yourself. And here’s the fascinating part, since Ms. Hagerty’s “day job” is as a reporter for NPR, she draws from cutting-edge information in neurology, psychology, biology, genetics, and sociology—as well as her own story of midlife transformation. She redraws the map for people in midlife and plots a new course forward in understanding our health, our relationships, even our futures. I confess that I’m listening to my copy on Audible . It’s quite in depth, but fascinating and I didn’t want to miss a bit. The Audible version is narrated by the author herself, and it doesn’t get much better than that! 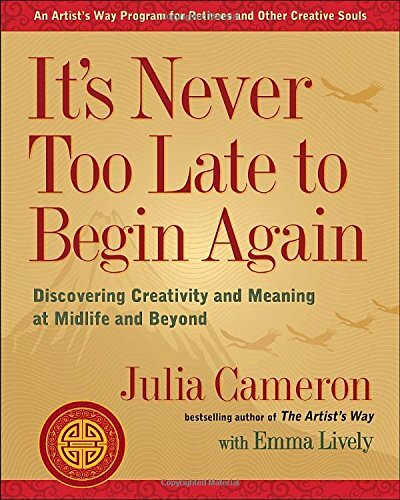 Julia Cameron is arguably an expert on creativity and its cultivation. I have personally found that to create is to share my truest and must vulenerable self with the world. Recapturing my own creativity is inspiring in its own right and has also fueled my exploration of who I will be in my second act. So, creativity is high on my list of reading topics and it’s something that I’m passionate about practicing and cultivating. 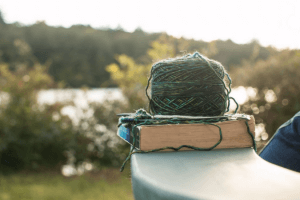 In It’s Never Too Late To Begin Again, she turns to those of us who may soon have more time to be creative, but who are often reluctant or intimidated by the creative process. Cameron shows readers that retirement can, in fact, be the most rich, fulfilling, and creative time of their lives. Any significant life transition, and particularly those at midlife, can be quite exciting, but also daunting. The life that someone had has changed, and the life to come is yet to be defined. It’s Never Too Late To Begin Again, demonstrates how cultivating our creative selves can help navigate this new terrain. She tells the inspiring stories of retirees who discovered new artistic pursuits and passions that more than filled their days—they nurtured their souls. She gives us a twelve-week step by step process to find the life you want as you rediscover yourself, this book includes simple tools that will guide and inspire you to make the most of this time in your life. 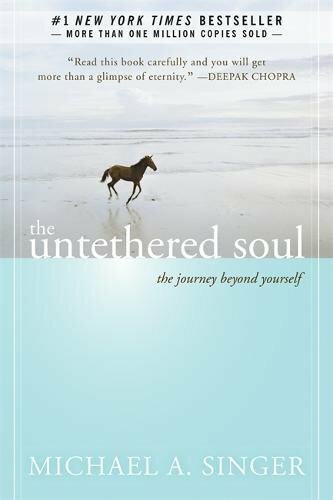 The Untethered Soulis actually on my wish list. I haven’t gotten it, read it, or listened to it. Yet. But it’s come to me highly recommended and sounds like a terrific book to add to my collection. Confession: I’m not actually “reading” Only Love Today. I’m listening to my copy on Audible . When I started listening, I was so disappointed that Rachel Macy Stafford wasn’t narrating it herself. But as I listened, I realized that the narrator was perfect. Her voice gives warmth and life to the palpable love in Rachel’s words. I often feel that love is a super-rich dessert of which I’m not worthy. (See Brene Brown above…) And Rachel instinctively knows that so many of us who need her words aren’t used to taking in so much love. 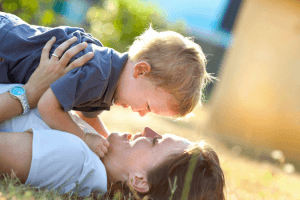 She doles her love lessons out in small, bite-sized bits that are easily consumed even by those of us who must still remind ourselves daily that we are worthy. I do have a hard copy as well – which I plan to read next. And highlight. And dog ear the pages. And maybe sleep with it under my pillow in the hopes that the love found there will fill me with enough love for the next day. 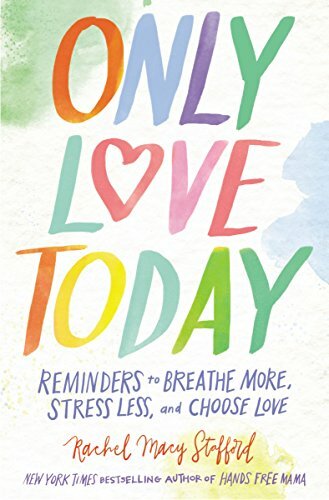 Amazon says that Only Love Todayis perfect to pick up at any time of the year and find hope and encouragement to address your current challenge or need – family, parenting, relationships, finding peace in a stressed out world. Rachel Macy Stafford offers strength and vision for a new and more connected way to live. This is a timeless book of inspiration to remember and live for what really matters. I mentioned that I’m actually listening to the audio version of several of these books – I just love audio books! They fill my pockets of time in a way that’s helping me reach my potential. Oh, and my kids LOVE them too! It’s all we ever do in the car anymore! Right now, by clicking this link, you can try Audible and get two FREE audiobooks right away! All of these books look like they’d be very interesting and enlightening. I’ve pinned for future reference. Thanks. Fantastic choices! I had not heard of the Mona Lisa Strategem, but it is now on my to read list. I also really liked “You Are a Badass”. Great list! Thanks for sharing them.